Get ready for the fight of your life in the Roman Armour Helmet. This headpiece will make you look just like the Roman warriors and remind everyone not to mess with you. It’s the perfect accessory to complete your soldier outfit and works great in blocking the wind. 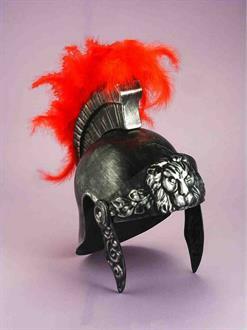 Get this helm to look like some of the worlds famous Roman warriors!